Whenever we work in a team there is a tension between getting the outcomes we want and contributing to the outcomes that others need. If I spend time giving John the information he needs to get his board paper written, then I might have to delay my meeting with my direct report, Sarah, and as a result she doesn’t meet her deadline. I will need to trust that, at some point in the future, John will return the favour. Humans are incredibly good at quickly recognising whether to cooperate with others or whether to just look out for ourselves. Within minutes of joining a group we size up the situation and adjust our level of contribution accordingly. We have learnt this skill because being cooperative in a competitive environment is a really bad idea. David Sloan Wilson has been doing some cool research on this in his home town of Binghamton. He has found that the culture of the suburb where teenagers live determines to a large extent how prosocial they are (i.e. how readily they will take voluntary actions to benefit others, such as sharing, comforting, helping, rescuing). If teenagers move from a harsh suburb to a more nurturing environment, they often become more prosocial. It looks like certain environments encourage people to be cooperative, trusting and kind and other environments don’t. So what does this mean for you and your team? If your team aren’t very cooperative; it may not be because they are selfish or difficult; it may be because the environment isn’t set up to encourage prosocial behaviours. How do we create those environments? Where the group is part of a larger system, they are organized as multilayered nested enterprises. Each group has its own governance that fits within the larger group. Local efforts are linked together. Ostrom found that groups that have these principles in place are more likely to work together to look after group resources rather than compete for and ultimately deplete them. Sloan Wilson has been applying these principles to create changes in schools and neighbourhoods with surprisingly good effect. My experience is suggesting they are helpful for workplace teams too. 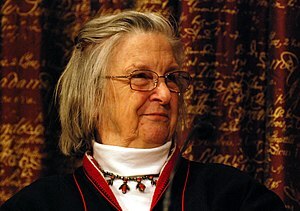 Sadly Elinor Ostrom passed away on June 12th. My hope is that her contribution will live on, helping us to improve the way we interact with each other and the world. Hi, Rachel, I like this post and adore Elinor, of course. Great loss to many professional sectors. A couple of comments: we know from the works of Maximilllian Ringelmann (1913), who was an agricultural engineer, from Mueller (2006), and Steiner (1972), these last cited in Hackman (2002), that the productivity of a group…increases as size increases–but at a decreasing rate. Each new person adds something, but not as much as the previous person added. So increasing a group from two to three makes a much bigger difference in potential productivity than adding a thirteenth person to a twelve-person group.” So, basically, the more people you add, the smaller the individual input — out of this came the term “social loafing.” Check out the experiment Ringelmann ran with rope pulling. It’s rather cool. http://changingminds.org/explanations/theories/social_loafing.htm. My other comment concerns groups. Groups may or may not be teams. In discussing the general group culture, I agree with the above. But when it comes to teams (defined as a group of people united in accomplishing a single task, or producing a single product) it’s a whole different matter–especially when it comes to high performance teams, which are very different entities,indeed. Thanks for that thought provoking response. I agree that teams (especially high performing teams0 are more than just groups. Does that mean that ostrom’s work doesn’t apply to them? my experience suggests that Ostrom is an important basis to enable a group to move into a team and for that team to have the potential to perform well. It isn’t enough but without these core structures in place teams are unlikely to do well. Very interested to hear what you think.